I recently found out about Twitch Streaming and what's awesome is I can get to watch a couple of my favorite developers live coding on Twitch. I also found this awesome list made by @bitandbang with a list of awesome streamers you can check out if this is your kinda thing. 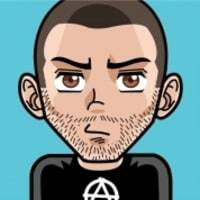 A curated list of awesome developers who stream. If you'd like to add a dev streamer to awesome-developer-streams, be sure to read the contribution guidelines, make your change to this file and open a pull request!